We all know that purchasing a car can be a slightly stressful and confusing experience and this is no exception when considering purchasing a used car. A used car comes with the added bonus of generally being kinder to the wallet and enables you to perhaps get a more premium model for your budget. That being said, the pre-owned vehicles are, well, exactly that, pre-owned. This means that they have a history that involves its care, maintenance and use that may affect its performance and lifetime. We understand that purchasing a used vehicle can seem risky and that’s why each and every used vehicle at Howards goes through a strict process to ensure that every aspect of the used vehicle is nothing but the best. If you want to find out exactly what we do in our Howards Dealerships then check out our article Why buy a used car from a Howards Dealership. 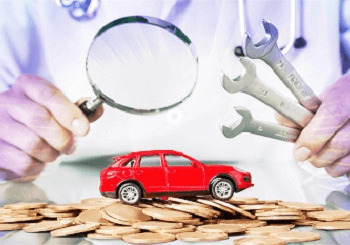 Although purchasing a used car is much safer these days, due to the inventions of things like rust prevention and durability as well as quick and easy access to mileage and service history, it is always best to be prepared and do your checks. Getting to grips with the history of the vehicle and understanding what its past actually means is a crucial step in making the right decision. As well as our own process to ensure that you are getting a great deal we’ve put together a go-to checklist for when you are buying a used vehicle to help ensure you are doing so with the utmost confidence. First piece of advice when reading this article is do your research first. We’re going to be mentioning engine parts and oils that some of you may not be familiar with, so? Get yourself familiar, know what you’re looking for, be prepared. There is absolutely no harm in knowing your head gasket from your coolant! And, if you need to carry any advice away with you then commit number 1 and 2 to memory now! Basic life skill here, put into action at a crucial point! If there is anything you are not sure about? Walk away! A lot of us get our hearts set on a make or model and this can cause you to go slightly ‘blind’ to the actual practicality of the situation. Unless you’re going for a classic and rare model the chances are that you WILL find a similar model with a better health record! It goes without saying, the engine is one of the most important elements of a car! Maintenance is paramount! So here’s some of the main things to keep an eye out for. Leaks, are one of the easiest things to see. Engines have numerous different fluids that are needed for it to function and, with good maintainance, they should not leak! So, firstly, check underneath the vehicle and check the ground for any sign of a leak! You should be looking out for any signs of oil and dark patches. Pop the bonnet. Check the engine for any signs of leaking fluids, the colour of the liquids kept under the bonnet can range from pink, yellow, green and reddish brown but sign of any liquid is not good. What to do if you do spot a leak? Get advice from an expert, insist it is fixed.. Either way this needs to be addressed! Checking the oil is one of the staple actions taken in maintaining your vehicle, and this is an important part of the process when considering purchasing a used car. First off, make sure the dipstick reading is correct, this is a sign of care that has been taken for the vehicle. Make sure the oil is not discoloured or too thick or thin. Keep an eye out for any buildup of dirt and grime, this is generally an indicator of a less than cared for car. The head gasket is a thin piece of material that sits midway through the engine and prevents substances like coolant and oil from getting into areas of the engine and causing damage. For example a smoky exhaust, loud and unhealthy engine noise or loss of power could be down to a substance getting into the engine's cylinders. A blown head gasket is DEFINITELY something that is more than often good reason to walk away, as this can be a very costly fix. How do you check for this? Well, the above are signs of a blown head gasket but there is a way to check in the actual engine too. Making sure the engine is cool, remove the oil cap from the engine. If you can see white or light brown grime with a sludgy consistency then you are probably witnessing / diagnosing a blown head gasket - well done! And also, walk away! Turn the engine on and go look at the exhaust pipe. A small puff of smoke when starting the engine is normal, a sure sign of something being wrong is if it continues. So, make sure to watch what kind of emissions are, well, emitted over a few minutes. Different coloured smoke means different kinds of issues and being familiar with this could help you work out what the problem is and just how bad it might be. Blue smoke - the engine is burning oil. This could be a sign of a blown head gasket or a sign of weak engine seals, either way, it’s an expensive problem. White smoke - the engine is burning coolant. Easily confused with steam, a very common occurrence on first starting the engine on a cold morning but, if it is excessive, it could be a sign of the dreaded blown gasket! Black smoke - the engine is burning too much fuel. This is an issue that is definitely easier to fix than blue or white smoke BUT it can be harder to identify what problem is actually causing this! If you are set on buying this particular car, get an expert involved! Smoke emissions are not to be ignored and can cost a lot of money. Checking these elements of the car is generally something that you can’t do by eye. This is based on what you can feel and on your driving instincts! Yes there are different gear boxes available, the two obvious differences is the choice between Automatic and Manual but there are even differences in these categories. Regardless of the type of transmission you go for, every gearbox should engage gears smoothly and quietly. Automatic gearboxes - Make sure you engage all gears when checking this. Make sure the function that changes the gears (the kickdown). Also, if it has manual mode, make sure to check this! Manual gearboxes - Firstly, the first thing to check is the biting point! This is the point at which the clutch is to feel the car pulling away. This should be around the middle of the pedals movement, if you find it is occurring lower down and closer to the floor you will have to get the clutch checked - it could result in a simple alteration OR a costly change and is best to get properly checked. Easy and visual inspection and a great indicator of care that has been given and events that may have occurred in the lifespan of the vehicle. Dents, chips and replacement panels are all things to look out for and can give telltale signs as to what the car has been used for and what it may have been through. You need to check every surface of the vehicle, underneath, front, back, sides and roof! So adorn your deerstalker and get your observation on. Most importantly, you need to be looking for any replacement panels or paintwork as this could mean the car has been involved in an accident! Make sure there is a consistency in the body of both colour and overall look, this is best done in bright light. Also, look for evidence of overspray in glass and seals, if the car has been in a crash the work will have been done after seals were fitted. Check consistency of the panels, a follow on from the above point. The thickness of the gaps should be uniform all the way round, if they aren't it can be a sign that this is a replacement or the car has perhaps been involved in a collision that has been big enough to shunt the chassis out of alignment! Low speed shunts often leave evidence in the front and rear of the car. Lift up the boot carpet and the bonnet, everything should be straight and aligned with no signs of ripples. Car park dents and dings are common on doors and sides, if they are the front this could mean lots of motor way use. Check the door seals and look out for any gaps in the paneling as this could mean a leak that will cause more damage. Check for rust - untreated this can cause major damage later on - make sure to check the wheel arches, and the car sills (panels that run under the doors). These are both prime spots for sneaky rust spots to occur. One of the other important external checks is to ensure that the vehicle you are looking at comes with a good set of tyres. If is doesn’t, then it’s time to negotiate or walk away. Check all four wheels and the spare for bends and dents in the rims as these will need repairing or replacing. Check all four wheels and the spare for tears, cuts, splits or bulges. Check the tyre tread is at least 1.6mm deep all the way round the tyre (do the 20p check). Uneven wear can be a sign of poor alignment! As with the exterior, there are elements of the interior that will tell a story! You must be happy with the standard of the interior, this is where you will be spending your time. A worn out interior can indicate a higher mileage, so be aware of this if you think it might not tally up. Check for any rips, tears, holes or even burns (smokers cars). If you are not happy with the care that has been given to the interior of the car then haggle money off to pay for the repairs. Make sure all of the equipment works! Make sure all the systems any electrics are in working order, this can help you avoid any hidden costs! These are pretty straightforward and uncomplicated checks to carry out. Check that the back seat folding mechanism works correctly. This is also a straightforward check to carry out, simply hop into the driver's seat and turn the ignition. Check the mileage matches up to the amount advertised. It’s also important to makes sure the condition of the interior is representative of the mileage - worn down pedal, steering wheel and seats are indicators of a high mileage! As technology gets better and better as does the complication of the interior electronics and this does mean that things can go wrong! So, check that everything is functioning. Lights are of paramount importance! Uneven or blurred beams could be a sign of something going wrong. A dim beam could be a sign you need to change the bulbs soon, another cost that could be avoided! If everything so far seems sound or you are undecided on the vehicle (see point 1!) the next logical thing to do is to take the car out on a test drive. Make sure to try a variety of speed whilst listening out any abnormal engine noise or rattles. Make sure the brakes and clutch are responsive and in full working order. One of the defining moments when considering the purchase of a new car is the folder of service documents and receipts clearly showing any work that has been carried out on the vehicle that you should be shown. A service book is valuable too as you see who has serviced the vehicle and when. Check past MOT certificates, keeping an eye out for recurring issues, big issue and also that the mileage is consistent and not tampered. This is a vital step in your used car purchase journey! This will check to make sure the car has not been previously written off, has any outstanding finance or has been reported stolen. The three biggies! There is a small cost to it but it is well worth it given the repercussions of any of these three events occurring!